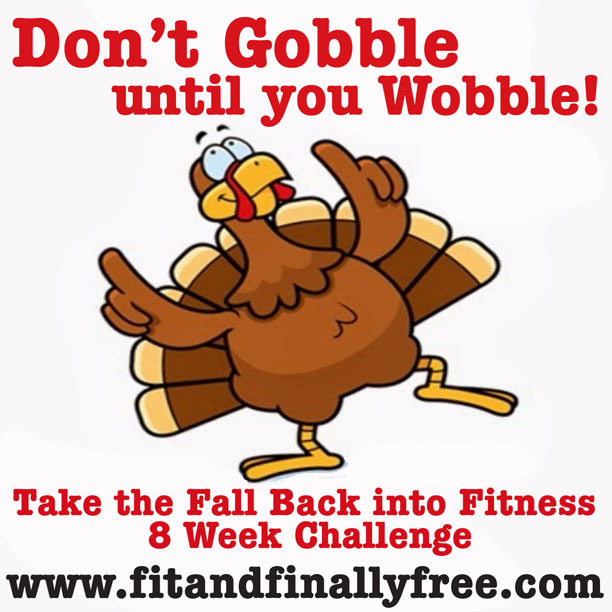 Don’t Gobble until you Wobble! It’s the week before thanksgiving. Don’t gobble until you wobble! It takes mental toughness this time of year not to overindulge enjoying the festivities. With all of the office potlucks, holiday parties, and family gatherings coming up until the new year, now is the time to jumpstart your nutrition and fitness without making and breaking new year resolutions. Small changes lead to bigger results. It’s not too late to join the movement! For those who have been following the challenge and have started week 3, sacrifice now so you can enjoy SOME next week. Don’t lose your focus or the strides in which you’ve made over a couple of days of comfort foods. Enjoy family time, find things to be thankful for, enjoy a few indulgences in moderation (no seconds), stick to your workouts, and keep your eyes on the prize. You got this!